Your question is important to me. I answer all inquiries myself, so please be patient as I navigate between teaching dog training classes, giving private lessons, and answering emails. Email is the quickest way to reach me. If you prefer, you can call me at 419-699-7785. Telephone calls are returned Monday-Thursday between client appointments (9am-3pm). 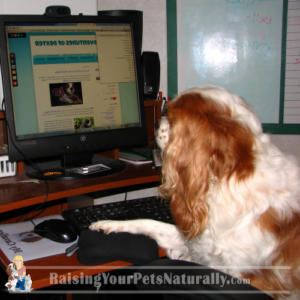 Please add tonya @ raisingyourpetsnaturally .com to your address book and double check your spam folder if you do not see a reply within 2 days. Thank you. FYI-I do not accept guest blog posts. I do not link out to other articles, all articles are written by myself. Thank you.